The 2004 Honda Accord is arguably the best midsize car sold in America today. It's certainly one of the best-selling cars and has been for the past decade. Honda redesigned and re-engineered the Accord last year, and the results are dazzling. A gorgeous coupe is available, featuring sporty styling that's unique from the sedan. The LX Coupe starts below $20,000 and makes for a quick, no-hassle, high-quality, sporty, two-door coupe that's great for commuting. 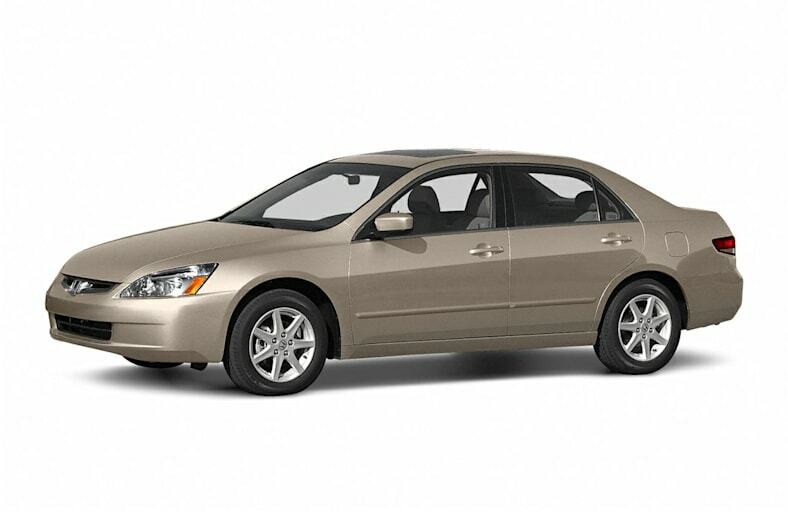 Add the V6 and leather and it's an executive expressmobile for fast trackers, an affordable alternative to a BMW 330i. For enthusiast drivers, there's the Accord Coupe EX V-6 MT, equipped with the V6 and a close-ratio six-speed manual gearbox that will blow your preconceived notions about the Accord right off the road. If that isn't enough, a new Factory Performance Package has been developed for the V6 Coupe. Model year 2004 brings a few new features to the line. XM Satellite Radio comes standard on EX-L and EX V-6 models. Side curtain airbags are available on EX models for improved head protection. A new intelligent climate-control system is available. The Accord offers high fuel economy and low emissions; 2004 brings partial-zero-emissions (PZEV) versions of the Accord to four Northeastern states as well as California. The Accord regularly competes with the Toyota Camry for the title of best-selling car in America. Honda sold more than 414,000 Accords in 2002 and sales in 2003 were up as of the third quarter.